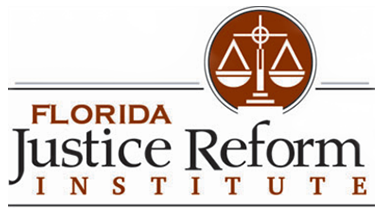 Watch this video now to learn more about the Florida Justice Reform Institute. Florida’s businesses pay the price for Florida’s abusive litigation environment, but there’s a way to make a difference that delivers real results to the bottom line. • legal support for the law, new and old, via amicus briefs and other direct action. 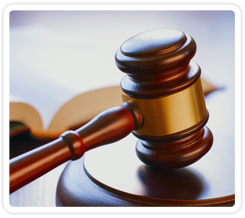 Using all these tools and more, FJRI brings the fight to the trial lawyers on critical issues such as fair settlement, assignment of benefits, phantom damages, legal and medical fee schedules, workers’ compensation costs, and the operation of state courts. The work is more critical than ever. Florida’s business community must continue to support a coordinated, long-term offensive to improving Florida’s civil justice system, and FJRI's tort reform is the way to do it. Join our lobbying organization, now, and help us get the job done. "Discourage litigation. Persuade your neighbors to compromise whenever you can. Point out to them how the nominal winner is often a real loser---in fees, expenses, and waste of time." Join our nonprofit civil justice reform organization in the battle to restore fairness and personal responsibility to the civil justice system in Florida.